Our most popular complexion-refining exfoliating serum is formulated with mandelic acid to exfoliate the skin more efficiently with less irritation than other AHA’s. Contains antimicrobial and antibacterial properties that gently exfoliates, clears acne and folliculitis, diminishes dark spots, calms rosacea, and gives the complexion a uniform tone and texture. This serum does it all! Paraben-free, alcohol-free, and propylene-glycol free. Rosacea-safe. 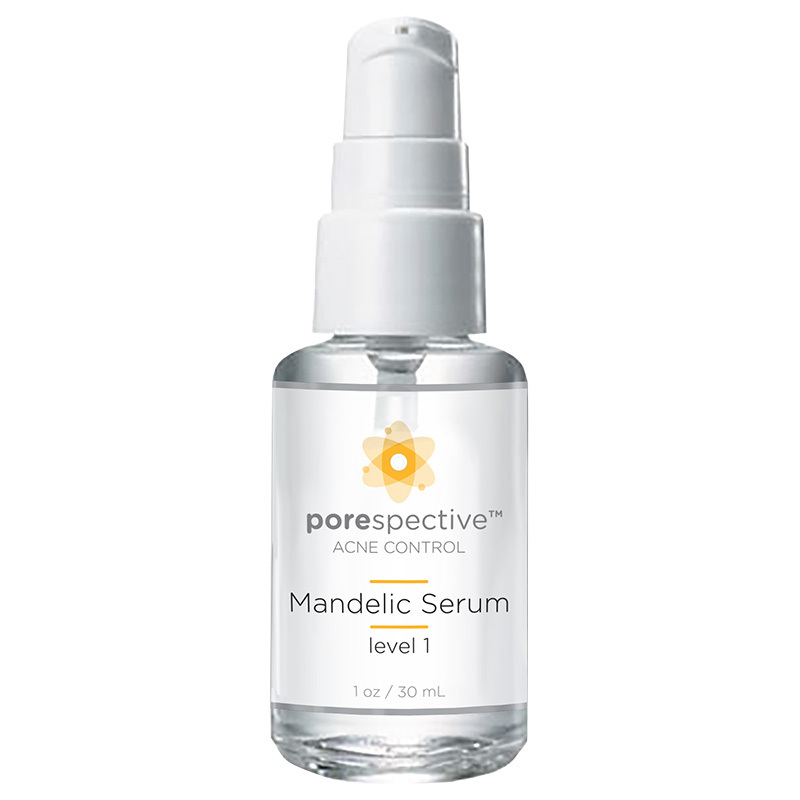 Mandelic acid is antibacterial and anti-fungal, and extremely effective at clearing acne because it treats the skin with less irritation than other AHA’s. All that’s left is a healthy, glowing complexion. Once acne lesions resolve dark spots often remain, which can last for months if left untreated. This corrective serum contains low amounts of lactic acid, which is the treatment of choice in any skin-lightening program. 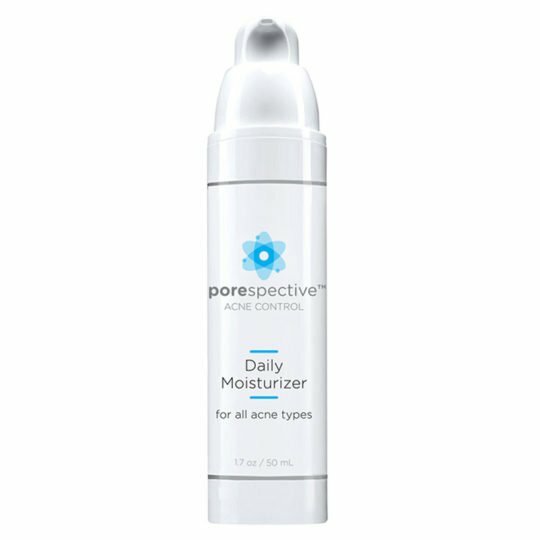 Lactic acid gently lightens red and brown spots left behind by old acne lesions, leaving clearer, brighter skin. Start with 1 – 2 pumps to entire affected area every other morning after cleansing, icing, and toning. Let dry 10 minutes before applying Daily Moisturizer and approved sunscreen. May use every morning in the absence of skin irritation or redness, typically after 2 – 4 weeks. Once you can comfortably wear Mandelic Serum every morning for 4 – 6 weeks, you may strengthen your home care to Lactic Serum or Salicylic Serum by alternating between the two strengths for 2 – 4 weeks, or until you can tolerate the higher strength every day. Do not use if allergic to almonds, niacin, niacinamide, or milk. Keep away from eyes. Use at least an SPF 30 everyday for sun protection. -Increases cell turnover on the skin’s surface as well as inside the pore.